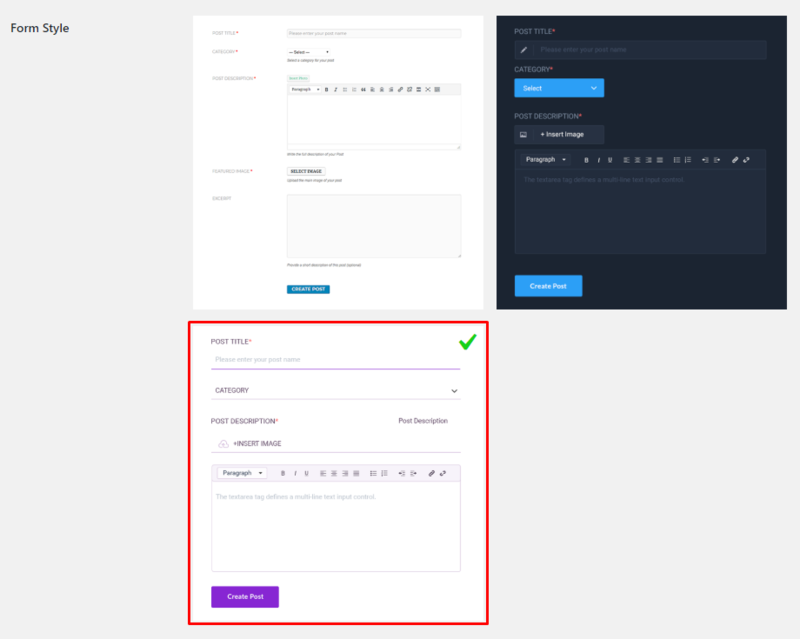 To configure the way a form looks, you have to navigate to WP Admin Dashboard → Post Forms → Hover your mouse icon on a form name and select the Edit option. 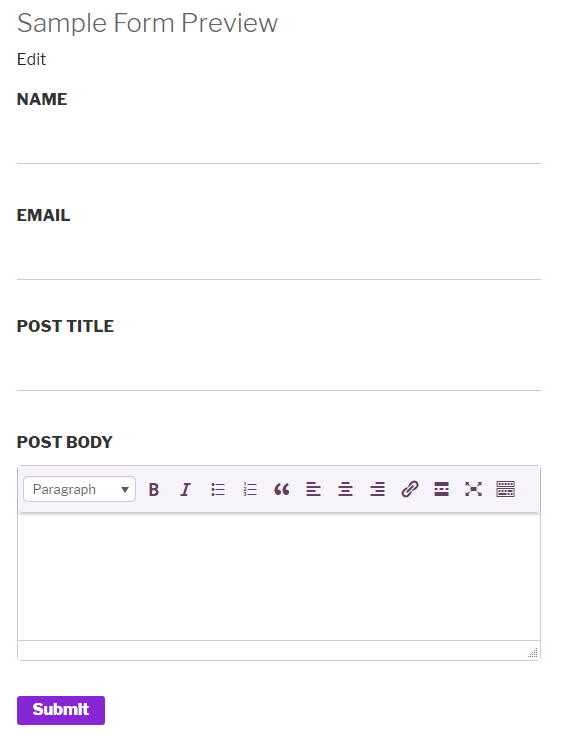 If you want to place the labels in different positions around the fields or elements of the form then you can use this option. The default position of the fields is set to the ‘Left'. But you can change the position of the label to the ‘Right‘ or ‘Above‘ of the field. You can even make them hidden or invisible too. Now, you select the “Above Element” option from the drop-down menu and hit the “Save Form” button. And this is how your users will be able to see from the frontend. This option allows whether to choose the theme CSS or the WPUF form CSS. If you select the ‘Yes‘ option then the forms will start using the CSS from the theme that you are currently using on your website. Otherwise, the form will get the default CSS value from the Plugin. After selecting an option, make sure that you clicked on the “Save Form” button to save the changes. 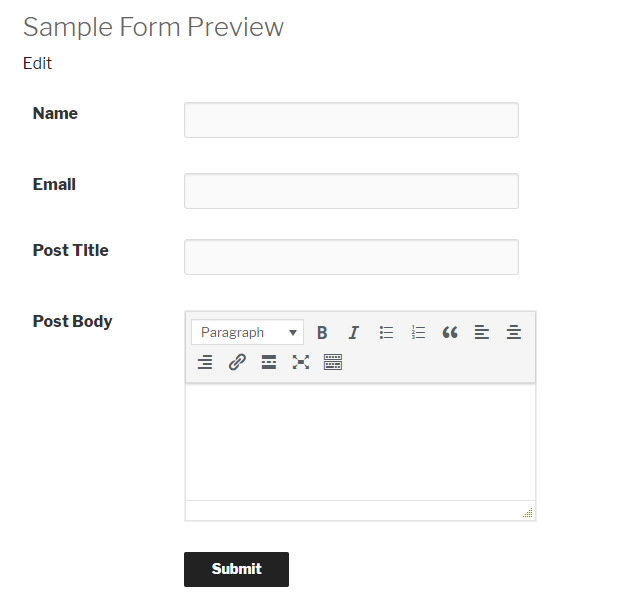 The WPUF has three sample form styles. You can choose the style that fits your taste. Suppose, you select the below one indicated by the red mark and hit the “Save Form” button. 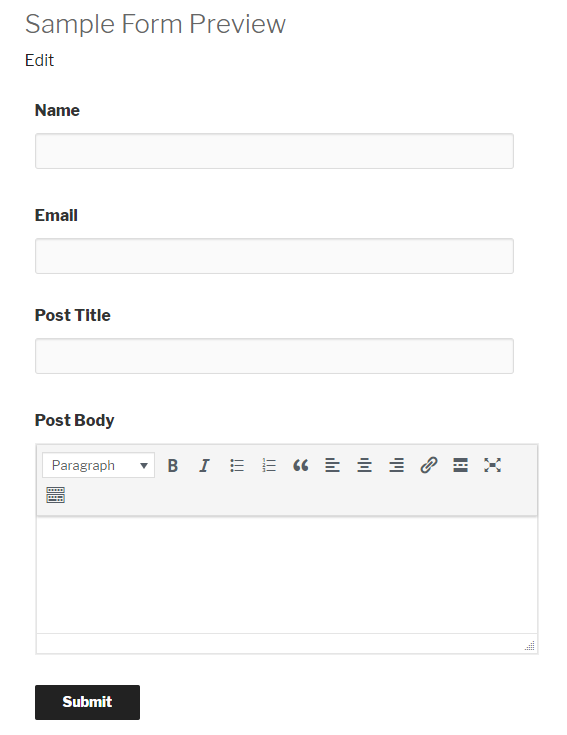 This is how you can use the “Display Settings” of WP User Frontend.